As the Mars Rovers continue to send back photos of the Martian landscape, one thing has become crystle clear. 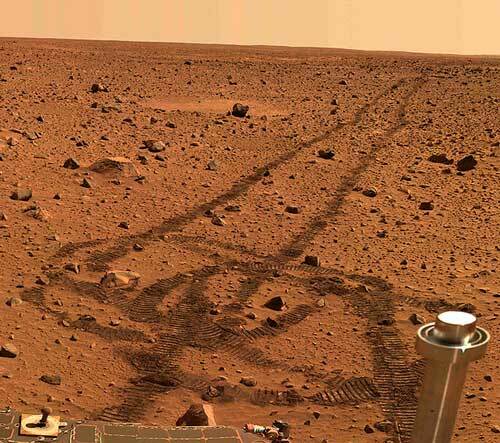 If there is or ever was life on Mars, it’s darned elusive. Despite months of trying, the scoopers are coming up empty, at least life-wise. Such a thing could never happen here on Earth. If alien scientists were to send their version of a Rover here to scoop up samples, they would find abundant life anywhere they looked. Life on our planet, in other words, is everywhere rich, vibrant, diverse. You can see this especially well in July at the Fill. The local resident birds – everything from wrens and robins to hummers and eagles – are bringing their fledglings out into the open now to teach them how to forage for themselves. Meanwhile, the migrants from the Far North are beginning to come through in numbers: adult sandpipers on their way south ahead of another wave of juvenile migrants scheduled to appear in August and September. A few early winter residents will show up any day now, even as the summer breeders are getting ready to head out. Before they leave us, though, these temporary residents and their brand-new progeny will have to fatten up for the flight. So they’re busy eating as much and as fast as they can. Flights of swallows fill the air. Young cowbirds mix freely with the finches finding seeds in the newly mown fields. 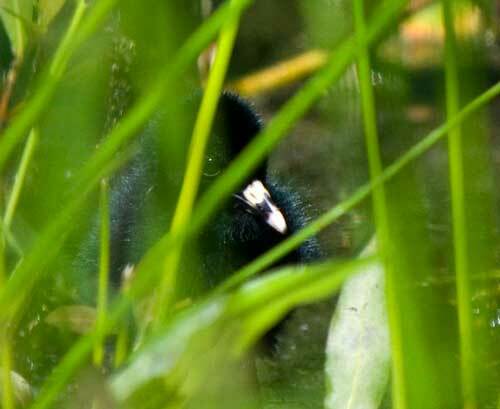 In the reeds of the ponds, Virginia Rail moms hurry their kids along, urging them to eat grubs and worms so they can grow their flight feathers in time to fly before winter. I saw just such a little family of rails near Main Pond yesterday – three black fuzzballs on stilts. When the mom called from one clump of shrubs near the shore, the babies darted out to grab a bite and then run back into cover. This entry was posted in Uncategorized on July 22, 2010 by constancesidles.